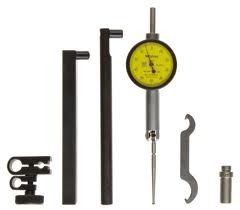 Manufacturer of a wide range of products which include peacock plunger dial gauge, peacock plunger dial gauge 1 micron and clamps holders. 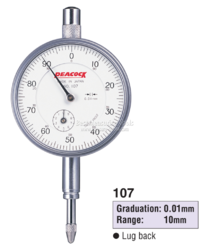 Dial Gauges are widely used manufacturing plants. The stem, made of SK quench hardened with strength, is malfunction-free due to fastening. The shock-proof mechanism prevents gears from damage due to shocks arisen by abruptly pushing up the spindle. The turning section of the outer frame sealed by the O-ring and the back inside sealed by the packing are waterproof and dust-proof in construction. The back is increased in strength by four screws, and the lug can be turned 90 degrees in the installation way. We are distributor & trader of Clamps Holders. Swivel Clamps can be used with Holding Bars.